The song is the second to emerge from the album after they put out ‘Waste a Moment’, a sultry rock cut which has the feel of early KOL, last week. ‘Around The World’ is mellower than the lead single but features some gritty lead guitar soloing, some epic backing vocals, and a hook-y bass line. On evidence of this, KOL have still got it. 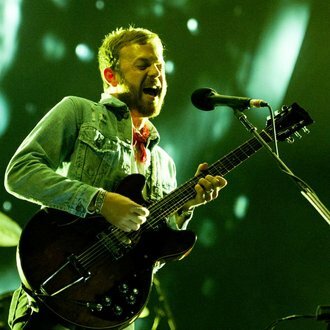 The band's seventh album was recorded in Los Angeles with producer Markus Dravs, best known for his work with Coldplay and Mumford & Sons, Dravs is said to have helped push them out of their comfort zone, questioning their routine and musical tendencies, asking them to endlessly play certain parts and write new verses as and when it was required. Jack White also played last night. He gave a storming rendition of The White stripes favourite ‘We’re Gunna Be Friends’ taken from his new acoustic album of recordings from 1998 – 2016.